"Two cords and a sole. Created for your feet." - That is the motto of Keen's new sandal that is, well, UNEEK! Launched earlier this summer, UNEEK tosses out conventional sandal/shoe design principals and and sought to develop an entirely new way to create the upper portion of a shoe. UNEEK is currently available for sale, in limited sizes, and retails for $100. 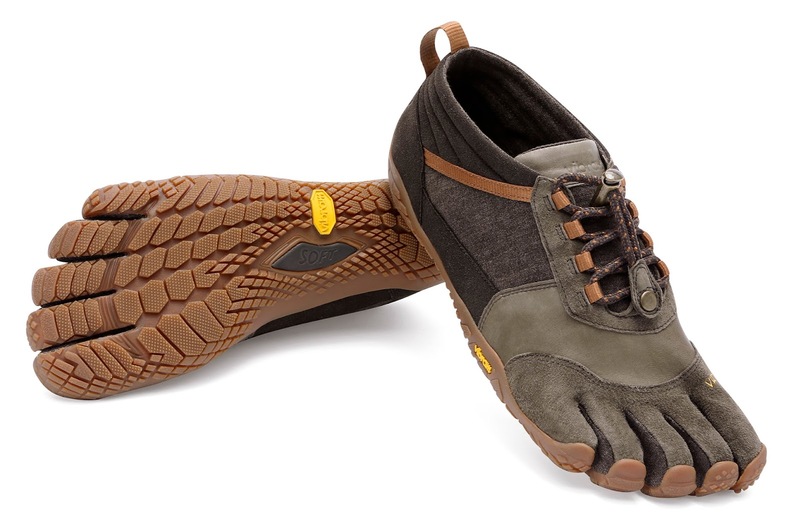 If you are like me and someone mentions Vibram, two things come to mind - sols for hiking/work boots/shoes and Vibram's Five Fingers running shoes. While their Five Finger running shoes continue to be very popular, Vibram is beginning to diversify their collection and are now including models oriented toward hiking, trail running, and water sports. 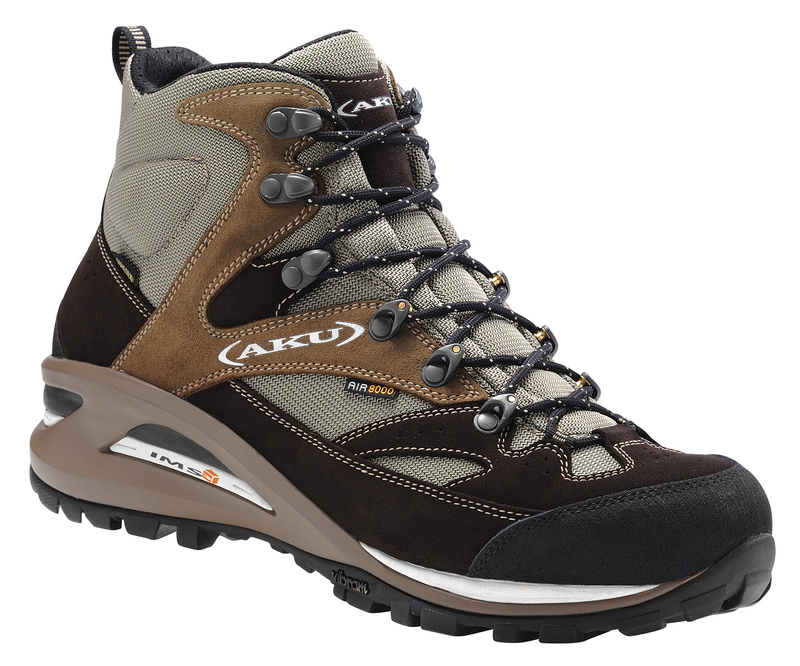 Their new Trek Ascent LR incorporates a stiffer sole to protect feet from uneven terrain and a leather upper for increased abrasion resistance. The Trek Ascent looks like a great option for those interested in Five Fingers but wish to have more traditional styling. Trek Ascent will be available, nationwide, March 1, 2015. Inspired by, and named after, the Japanese tradition of wrapping or folding a cloth towel to turn it into a bag, Furoshiki takes lightweight footwear to a whole new level. The unique design of the product starts with the concept of the wrapping sole – the entire shoe is one piece, with the wraps actually extending from the sole and the Velcro closing system ensuring a fast and secure fit. Thanks to the anatomic shape of the sole and the stretch upper, Furoshiki will fit any kind of feet. It’s the perfect shoe when you’re looking for comfort, whether that’s to take a walk through the city, on your way through the airport, or if you’re looking to relax on the seaside. We think these Furoshiki would be great for camp and travel. They are compact, light, and provide a decent amount of protection for everyday wear. Furoshiki is currently only available at Vibram's Newbury Street retail location, in Boston, and retail for $139. Vibram has not indicated when they will be available nationwide. Hi-Tec was on hand to show off two new lines of footwear that will be available in spring 2015. Their Altitude Lite Hiking Boots will feature a waterproof suede and nylon mesh upper and incorporate Hi-Tec's 'OrthoLite' sockliner for increased odor and anti-microbial properties. 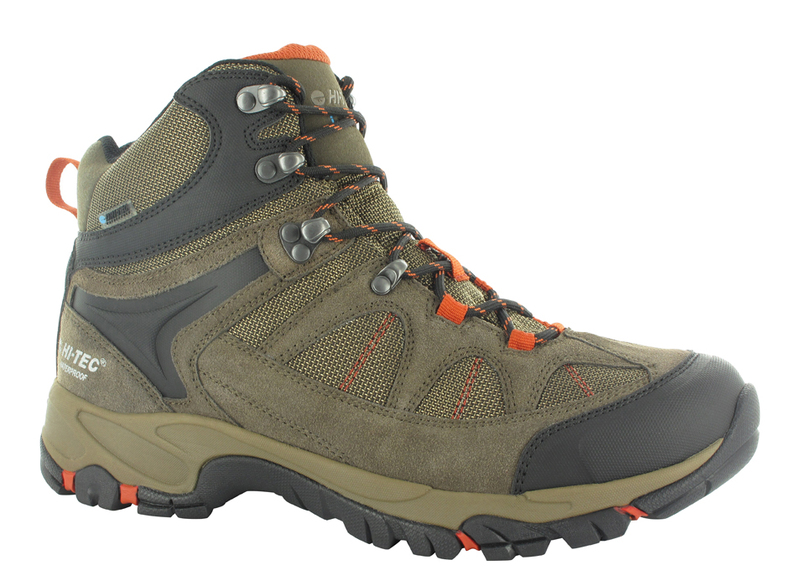 Hi-Tec is marketing these as the 'perfect boot for anything from a short day hike to a multi-day backpacking trip.' The proof is in the pudding, and we will see how the work in the spring. 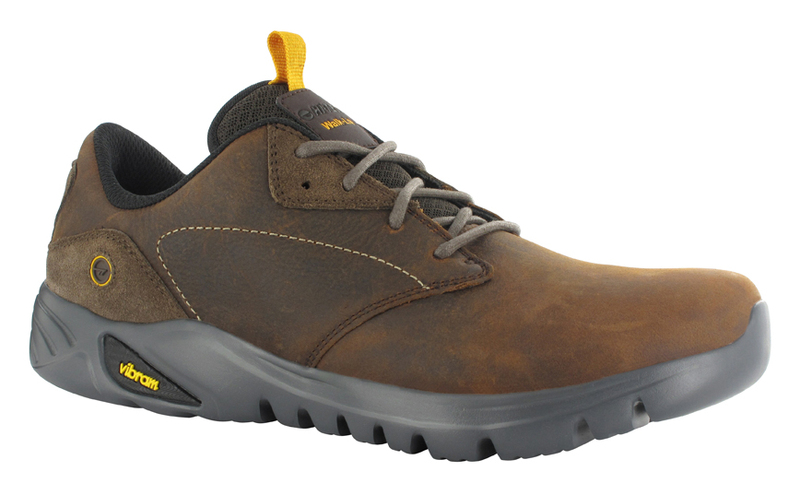 Also new for spring 2015 will be Hi-Tec's V-LITE line of walking shoes. The V-LITEs will feature the new 'RollinGait' soles, which was the result of Hi-Tec's partnership with Vibram. "RollinGait supports the natural roll of the foot and optimizes energy output for a smooth, efficient stride, especially downhill. The design of the RollinGait System also helps stop lactic acid buildup, so you can walk further, be fitter and see more along the way." The V-LITE line will come in leather and suede, nubuck and sued, or breathable synthetic mesh uppers, depending on the model and will retail for $100, $90, or $80 (respectively). AKU was celebrating their 30th anniversary at the Outdoor Retailer Summer Market with the introduction of the new Transalpina GTX. 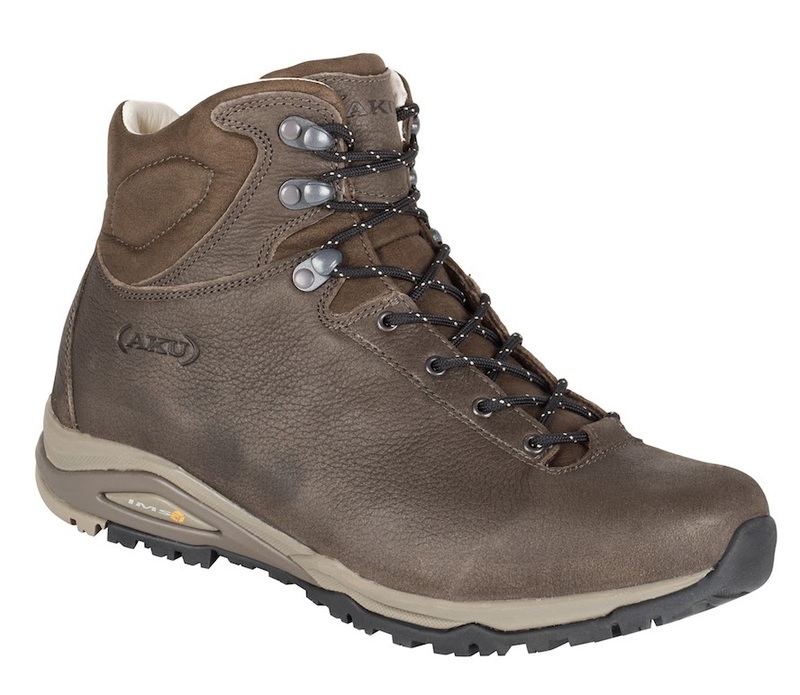 This hiking boot incorporates sued with their proprietary AIR 8000 technology to create a durable, yet extremely breathable, hiking boot. Their AIR 8000 technology eliminates the need for glue when joining the synthetic and felt layers used to comprise the boot's upper. This results in less weight and increased breathability over conventional gluing technologies. The Transalpina GTX also incorporates AKU's Internal Midsole System for increased stability and cushioning. The boot is currently available nationwide and retails for $229. Continuing their commitment to the environment, AKU introduces their new Alpina Plus with chrome-free leather. AKU realized the impact their leather tanners were having on the environment and decided to make a difference. Chrome, which can cause cancer in humans, is used heavily in the tanning process. Not only are tannery workers exposed to the toxic substance but, if tanneries are not properly designed/equipped, the tanning solution has the potential of leaking/leaching into nearby groundwater and streams and affect the drinking water of the remaining population. We are very excited to see new chrome-free tanning process be developed and thankful for companies like AKU stepping up and promoting these new chrome-free leathers!